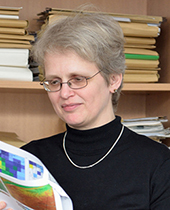 Associate Editor, Journal of Geophysical Research-Atmospheres. Member of the Steering Committee, SDS-WAS (Sand and Dust Storm Warning Advisory and Assessment System, WMO). Member of the Steering Committee HAMMOZ (Aerosol and Atmospheric Chemistry Modules for ECHAM), Chair: U. Lohmann, ETH Zürich, CH.